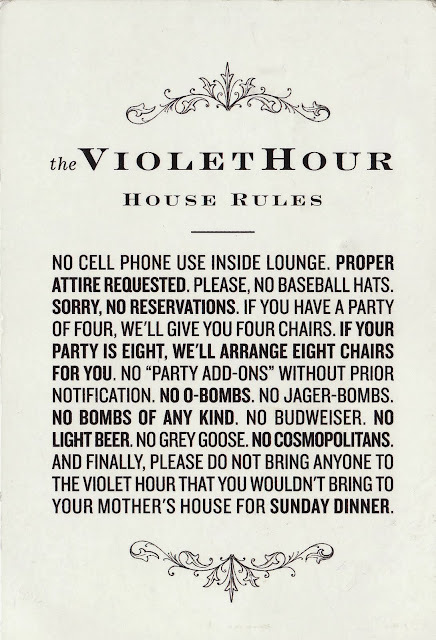 The Violet Hour has been on my "must visit" list since I moved to Chicago so it was about time I paid a visit. 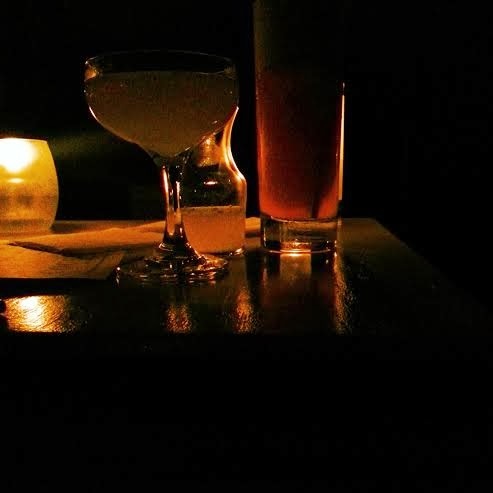 Located in Wicker Park, The Violet Hour is well known for their amazing cocktails (although the bar itself is a little tricky to find). Once you find the door you'll walk through two sets of velvet curtains into a dimly lit space with dramatic high back chairs. I ordered their most popular cocktail the Juliet and Romeo with gin, mint, cucumber, and rose water which was extremely light and refreshing. 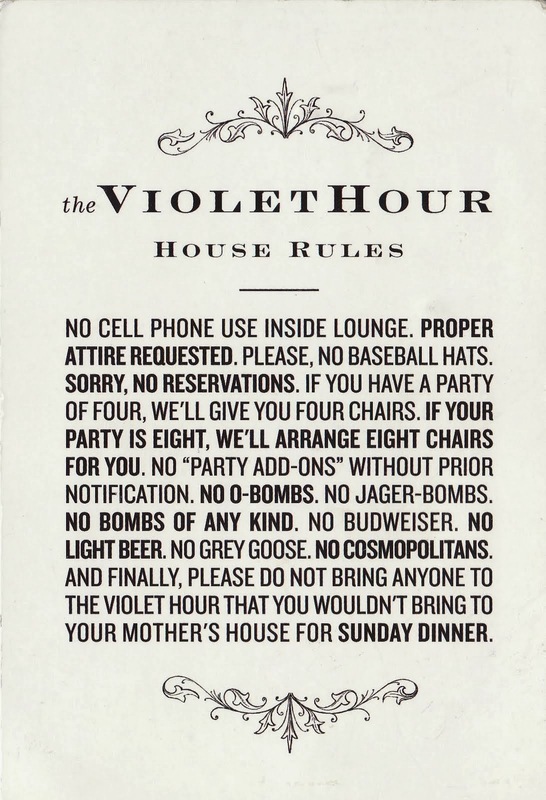 Visiting the Violet Hour is truly an experience and be advised they do have house rules. 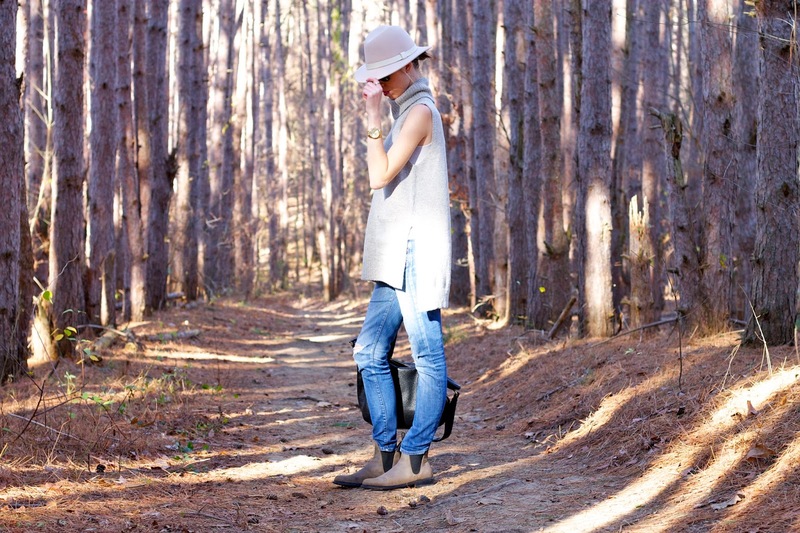 No cell phones...yes please.